MP Vyapam Sub Engineer Syllabus Are you looking for MP Vyapam Sub Engineer Syllabus PDF? Then, go through this article. Here, you can get the complete information regarding the MP Vyapam Sub Engineer Syllabus and MP Vyapam Exam Pattern 2018-19. Hence, check and download MP Vyapam Sub Engineer Exam Pattern & Syllabus PDF from the below sections. Also download MP Vyapam Sub Engineer Previous Papers here from the below sections. Madhya Pradesh Professional Examination Board (MPPEB) published a notification to select 1021 vacant posts for Sub Engineer, Draughtsman and Other Posts. The MPPEB will receive the online applications from the willing aspirants from 27th July 2019 to 10th August 2019. Madhya Pradesh Professional Examination Board (MPPEB) has recently released notification for filling 1021 Sub Engineer Posts. This MP Vyapam Recruitment 2018 is the great opportunity for all the candidates who are intently waiting for the Government Jobs in Madhya Pradesh State. The difficulty level of this MP Vyapam Vacancy 2018 Exam is very high. Most of the candidates are eliminated in this round only. Hence, the candidates should work hard and prepare well for the MP Vyapam Exam 2018 and qualify the examination with high marks. Stay tuned to our website Recruitment Hunt to get more latest updates regarding all Government Jobs Notifications, Syllabus, Previous Year Papers, etc. Latest MP Vyapam Sub Engineer Syllabus and MP Vyapam Sub Engineer Exam Pattern 2018 are now available here to download. 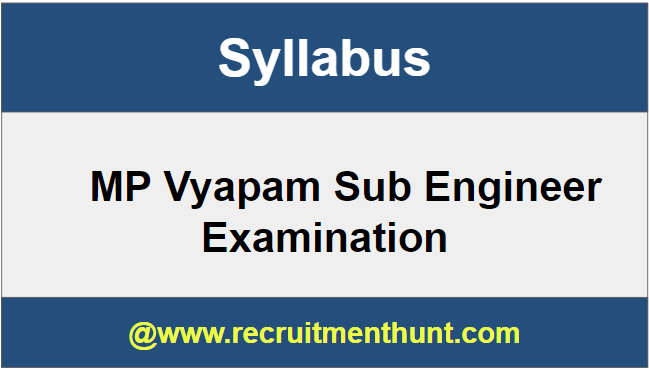 Hence, the candidates who applied for MP Vyapam Vacancy 2018 for Sub Engineer Posts can download MP Vyapam Sub Engineer Exam Pattern & Syllabus from this page and can start their preparation. For proper and perfect exam preparation, the contenders need to study according to the MP Vyapam Sub Engineer Syllabus & MP Vyapam Sub Engineer Exam Pattern 2018. Since you can know the detailed topics that are needed prepare for the exam and thereby your preparation will also become easy by checking MP Vyapam Sub Engineer Syllabus & Exam Pattern 2018-19. MP Vyapam SE Exam consists of 200 multiple choice questions for 200 marks. There will be 100 questions from concerned subjects. MP Vyapam Sub Engineer Exam has no negative marking. The subject wise MP Vyapam Syllabus for Sub Engineer is provided below. Usage of Internet Services available on Internet. General Policy and Scientific Research. Budget Basics and the Current Union Budget. International Organizations and Financial Institutions. Capital Marketing & Money Marketing. The law of motion and gravitation etc. Different Acids, Bases, and Gases. Chemical formula balancing and their facts etc. Diseases and their Symptoms etc. Metal Cutting & Machine Tools. Theory of Structures & Strength of Materials. Basics of Circuits and Measurements Systems. Mechanical Measurement & Industrial Instrumentation. Finally Candidates can download MP Vyapam Sub Engineer Syllabus is here. So, Applicants can make their preparation easier by following MP Vyapam Sub Engineer Syllabus, Exam Pattern and Previous Year Question Papers. 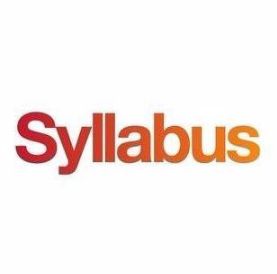 Download MP Vyapam Sub Engineer Syllabus along with MP Vyapam Sub Engineer Previous Papers 2018-19 on this article. Also, For more Job updates do subscribe to our site Recruitment Hunt. Sir mai chhattisgarh state se belong krta hun, kya mp state ki sub engineer ki vacancy ki form bhar sakta hu ?? sir jo syllabus diya h civil engg. ka vyapam esi k according paper set karega kya kyu ki esme civil engg. ki subject kam kr k syllabus diya. Dear Sir mp sub engineer recruitment 2018-19 ki vacancie kab tak aayegi and electrical engineering ki kitni seat’s ayegi.